Situated on the 18th green at The Ledges Golf Club and down the street from the heated pool, hot tub and Pickleball courts, this premier vacation home is the perfect place to play golf, visit the national parks, or spend a weekend relaxing. 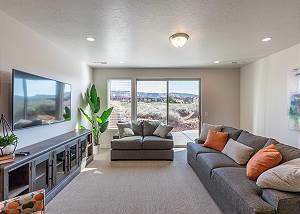 Situated on the 18th green at The Ledges Golf Club and a few feet from the heated pool and hot tub, this premier vacation home is the perfect place to play golf, visit Snow Canyon State Park, Tuacahn, Zion National Park, or spend a weekend relaxing. 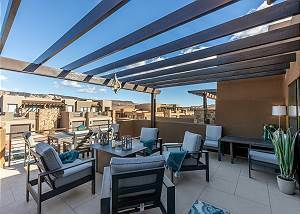 Overlooking the 18th hole at The Ledges Golf Club and across the street from the heated pool and hot tub, this premier vacation home is the perfect place to play golf, visit Snow Canyon State Park & Zion National Park, or spend a weekend relaxing. Retreat On The Green is situated on the beautiful 18th hole at The Ledges Golf Club. 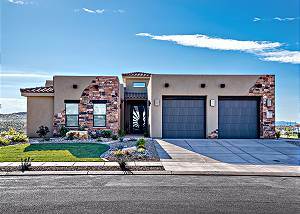 This vacation home is the perfect place to enjoy a day of golf, to visit the surrounding national parks, or just to spend the day relaxing. 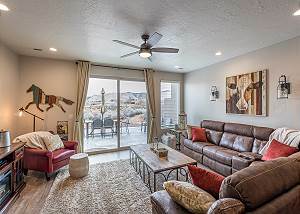 Situated on the 18th hole at The Ledges Golf Club and down the street from the heated pool and hot tub, this premier vacation home is the perfect place to play golf, visit Snow Canyon State Park & Zion National Park, or spend a weekend relaxing. Situated on the 18th fairway at The Ledges Golf Club and down the street from the heated pool, hot tub and Pickleball courts, this premier vacation home is the perfect place to play golf, visit the national parks, or spend a weekend relaxing. 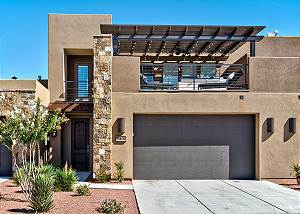 Red Rock Vista is situated right off of The Ledges Golf Club in a brand new community. This vacation home is the perfect place to enjoy a day of golf, to visit the surrounding national parks, or just to spend the day relaxing. Kickin' It At Karisma 2 is situated on the beautiful 18th hole at The Ledges Golf Club. This vacation home is the perfect place to enjoy a day of golf, to visit the surrounding national parks, or just to spend the day relaxing. Prices Starting at $200 Per Night! 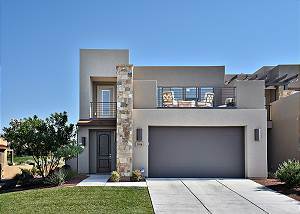 This stunning home overlooks the fairway of Hole 1 at The Ledges Golf Club and is seconds away from the club house. 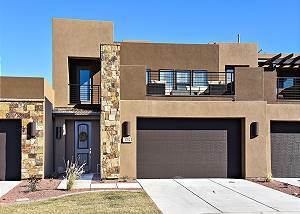 The 3821 sq ft Chip Shot has 5 bedrooms and 5 bathrooms and is a two-story luxury home located in The Fairways at The Ledges of St. George.